Alluring music doc leaves an unsatisfying aftertaste. 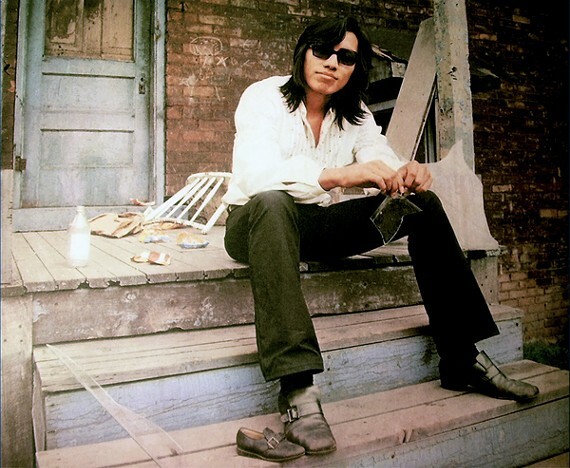 The heretofore generally unknown story of '70s-era Detroit folkie Sixto Rodriguez is a provocative one, and it's well told — to a point — in the documentary Searching for Sugar Man, from Swedish TV director and first-time feature filmmaker Malik Bendjellou. Billed only as Rodriguez, the singer released a couple of early-'70s albums — Cold Fact and Coming From Reality — that went nowhere commercially and then, he went on with his life. But through a series of odd events the film roughly recounts, those albums found new life in South Africa and Australia, where they were re-released — with a sketchy legality the film doesn't probe nearly well enough — and a cult built up around an artist fans knew little about and presumed dead. Searching for Sugar Man — "Sugar Man" being one of Rodriguez's druggie odes — retraces the steps of a couple of fans — a record-store owner and a journalist — as they follow his trail, finally uncovering the singer in Detroit, where he's a day laborer and neighborhood eccentric with three grown daughters. These musical detectives bring Rodriguez back to Cape Town for an enthusiastically received "comeback" concert and mini-tour. The daughters are articulate spokespeople for their father, but the man himself barely submits to an interview, while the "as good as Dylan" on-screen claims by other subjects is laughable in the face of aural evidence that situates Rodriguez as more "James Taylor cut with Phil Ochs." Ultimately, Searching for Sugar Man feels something like a documentary equivalent of Slumdog Millionaire — an exotic, feel-good fairy tale with a manipulative aftertaste. I wanted more real detail about Rodriguez's life and career, what stalled the latter and what became of the former, and less hazy, record-collector romanticism. I found Rodriguez's daughters more compelling than the quietly inarticulate mystery man himself — what must it have been like to grow up in Detroit, in the '70s and '80s, with this man as your father? — or his sleuthing superfans. Searching for Sugar Man is not showing in any theaters in the area.